Nothing like writing this monthly newsletter at the last minute. While you are still technically receiving this email in September if you are in the USA, many of you may be receiving this note with an October date-stamp on it. Last minute has been a recurring theme for me during the month of September. From last minute cancellations, to hail Mary passes with technology, to traveling 33,000 miles on airplanes over a 14 day span, it has been a race against deadlines all month for Jeffalytics. More on that in our personal updates section. What lesson was learned during all of this deadline dashing? A reinforcement of the time value of money. When faced with limited resources and seemingly unlimited ambition, sometimes it is wiser to buy your time back by using technology instead of doing things manually. Time is our most valuable asset. QuillEngage (quillengage.narrativescience.com) – Don’t let the strange product name fool you: this is an incredibly valuable resource if you don’t check your Google Analytics account obsessively. Want to know the story behind how your site is performing? Check out this awesome tool! Hoosh (hoosh.com) – A very promising competitive intelligence platform with a freemium model for tracking your brand. Terminus (terminusapp.com) – A Google Analytics campaign URL builder. I should preface this by saying I would not pay for a campaign tracking system when you can easily build one in Excel, but you might find this useful. 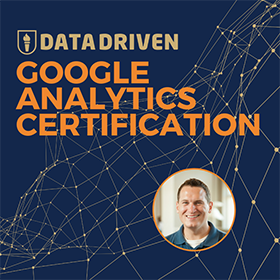 Google Analytics Training (knowledge.land) – This 12+ hour course provides Google Analytics training from beginner to advanced. The best part? Jeffalytics is your teacher! OptimizePress (optimizepress.com) – This tool is so good that it has changed my outlook on my “ceiling” as a marketer. Can’t say that very often. Responsive Web Pricing Tables (codecanyon.net) – This is a WordPress plugin for adding a pricing table to your website. Big time saver and looks good too! Google Analytics by Yoast (v5) (yoast.com) – Yoast finally updates his GA for WordPress plugin to support Universal Analytics. Still some weird configuration options that keep me away for my sites, but great for most bloggers. Not as many articles as previous months, but I think that’s probably a good thing. The Scourge of Napa Valley by Kermit Pattison – Every great story needs a great villain. Fred Franzia is the villain in California wine country. Is Bounce Rate (as defined by Google) Irrelevant? by Sarah Danks – When Sarah approached me to give a quote for this article, I thought it was just a short post. Then I read through it and I was blown away. This is the most thoroughly researched and well written article I have seen on the topic of bounce rate. For the record, I hate strongly dislike bounce rate. We Analyzed the 3,000 Most Successful LinkedIn Publishing Posts by Paul Shapiro – I actually didn’t love this post because it is making conclusions that are far from statistically significant… but it is still valuable reading. Why I Hope to Die at 75 by Ezekiel Emanuel – I didn’t love this argument either, but again it is a valuable perspective to read. 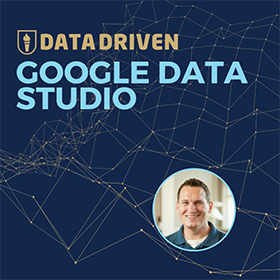 Tools and Tips for Debugging Google Analytics Like a Pro by Nico Miceli – I love when professionals share their experience in long-form. Now I can send people their way for answers! Should We All Take a Bit of Lithium? by Anna Fels– This is fascinating. Could it be that a small trace of a natural substance is the key to mental health? The Awful Reign of the Red Delicious by Sarah Yager – Your reign at the top is over! 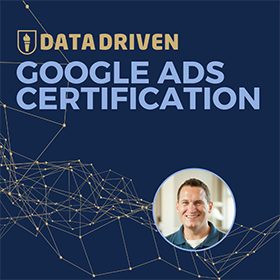 Only two major articles this month, but I have hopefully turned the corner on content creation now that we have launched the Google Analytics training course. The first article was an announcement of the Google Analytics training program. The second article was just posted on Jeffalytics aboutmy awesome experience with OptimizePress. I am pretty in love with this tool right now, and I hope that the honeymoon period lasts forever. Nothing lasts forever, but I am saving so much time with these templates that I can now focus on the product. Time value of money for the win. As for the 33,000 mile trip I mentioned in the header, that much flying was no joke. You can read the details in myJeffsetter post, but I basically did 1 week of traveling for business and a second week traveling around the world for pleasure. I would not recommend this to anyone.